MONDAY sees Chancellor Philip Hammond’s 2018 Budget. The old spring affair has been shifted to year’s end, in the hope it will make it easier to coordinate government tax and spending with the start of each new fiscal year, come April. Dream on, Phil. With a final Brexit deal still up in the stratosphere – and likely to remain so till March – crafting a budget that lasts more than five nanoseconds is virtually impossible. To date, Spreadsheet Phil’s economic strategy has been to do as little as possible and save up cash for a rainy, post-Brexit day – roughly £15bn to date. If Hammond had his way, this 2018 Budget would be so low key that you wouldn’t see his lips move. But events have gotten away from the Chancellor. For starters, Mrs May wants to pretend to an increasingly alarmed electorate and Tory Party that there is life after Brexit. Hence May’s sudden commitment over the summer to a £25bn annual increase in NHS funding by 2023-24 in response to the meltdown in the English health provision. This offer actually outbids Labour’s pusillanimous 2017 manifesto plan for the NHS. However, May did not explain where the cash is coming from, handing the details over to a less-than-enthusiastic Hammond. Next, at the Tory conference, the PM grabbed more headlines by pledging an end to austerity, a move which could add about a further £35bn to annual government spending if programmed cuts to Whitehall departmental spending are scrapped. Reversing welfare cuts planned over the next four years would cost £7bn. Another £1.5bn would need to be found to plug the gap in English social care funding while £1bn is required to stop cuts to per-pupil school funding south of the border. Where is Phil going to get this cash? For starters, he can dip into his accumulated Brexit savings and hope the economy does not tank after the UK quits Europe. However, there’s not enough in the pot to cover the NHS never mind reversing planned austerity cuts. True, Hammond has also had a bit of luck in that Treasury tax receipts are rising faster than expected. But he was hoping to trouser this money to help with paying down the accumulated National Debt. Which leaves Phil with the option of raising taxes. A dry Tory to his fingertips, Hammond won’t go too far in this direction. Expect him to find some extra cash in the nooks and crannies of the myriad tax loopholes that previous chancellors have invented. For instance, he could tinker with pension tax relief for the middle class. This costs the Treasury a whopping £39bn a year – the sort of bung the Tories give their supporters while introducing food banks for the working poor. Hammond could end austerity at a stroke by ending middle class reliefs, introducing a wealth tax and taxing business profits. Profits in UK companies rocketed by a staggering 86 per cent (to £211bn) in the year to the end of June. Yet successive Conservative chancellors have cut corporate tax to 19 per cent – with plans to cut it further to 17 per cent in 2020. Yet in Germany, with a stronger industrial economy than the UK and more business investment, the federal corporation tax rate is 25 per cent – plus a top-up from each Lender government. A radical chancellor would also be looking at ways to broaden the tax net. Taxation of land values is long overdue – and should certainly be trialled by the Scottish Government. Incidentally, a little bird tells me there has been some discussion at SNP leadership level regarding a land tax but that this has been firmly squashed. Perhaps the party membership should get involved through motions to National Conference and National Council? Be assured that Philip Hammond won’t go down the road of taxing his business friends. Nor can he soak the Tory electoral base with Brexit looming. So my bet is that austerity will be with us for a while longer, if not permanently. We can probably expect minor adjustments to welfare spending but no lifting of the overall cap. Cash will be found for the English NHS as an emergency move, but the extra funding arrangements will be precarious and fall apart in a couple of years – especially if post-Brexit economic growth starts to wobble. The only lasting solution to austerity is to dismantle root and branch the inherently unstable system of casino banking, debt-fuelled consumption, low wages and rigged housing market that underpins rickety British capitalism – and makes the poor pay for the resulting economic crashes. At root the problem is not a question of finding new taxes. Rather, we need a new kind of economy that does not put private ownership of wealth, profit maximisation, exploitation and mass consumption at its heart. But what about Modern Monetary Policy Theory. It is the government that creates money. Therefore it can finance whatever it wants. Austerity is unnecessary and a con. Yes, I’m disappointed that George, who’s supposed to be an economist, doesn’t understand how a modern economy works: it’s “spend and tax” not the other way round. As you know, David, taxes are not needed for government spending because the government can create all the money it wants and spend it into the economy, creating jobs and increasing economic activity through the multiplier effect. Taxes serve other purposes – as this government knows well, redistributing money from the poor to the rich. Unfortunately, I don’t think there’s a single politician who understands MMT and precious few economists do either. Willie, I’m afraid there’s a serious flaw in your little tale where “everyone gets paid”. See if you know what it is. Man goes into mid west hotel. Tells bartender he’d like to stay but needs to see room before he commits.Bartender says put fifty bucks down as deposit, which deposit will be returned if man decides not to stay. Man he goes upstairs. Bartender grabs $50 and runs round to pay butcher for meat supplied to hotel. Farmer then runs round to pay prostitute for shotties taken. Prostitute then runs round with $50 to hotel to pay for rooms used for business. Bartender places $50 bucks on counter only for man to come down stairs to say that he’s not staying – and takes $50 bucks back. Every one paid, every one happy, no austerity there. Economics made simples. Braw! Sorry, missed butcher running round to pay farmer – but you get the drift. Willie, I believe ‘economists’ call it the multiplier!! Well Charles I like the multiplier. Everyone paid seems good to me. A bit like the SG giving a subsidy to the wrinkles over 60 when they get a bus pass. Funding something like 52% of the fare to operators the subsidy keeps the busses running whilst they otherwise wouldn’t be running, provides a public service to allow the nurse, teacher, shift worker to go to work, keeps the bus driver, mechanic, et al in a job, whilst gets the wrinklies out and about. Some economists reckon that circa £250k of subsidy or pump priming is good got £2bn of economic activity once the multiplier is factored in. Kind of explains why austerity, and maybe the saving of cancelling all pensions , all benefits and indeed all spending, is such a good thing. Maybe as good Tories we should stop all funding. Vote Tory do I hear you cry? Well, what should be at the heart of our economy? I’m currently reading Peter Hennessy’s Secret State: Preparing for the Worst 1945-2010, centred on the UK’s planning for nuclear conflict. 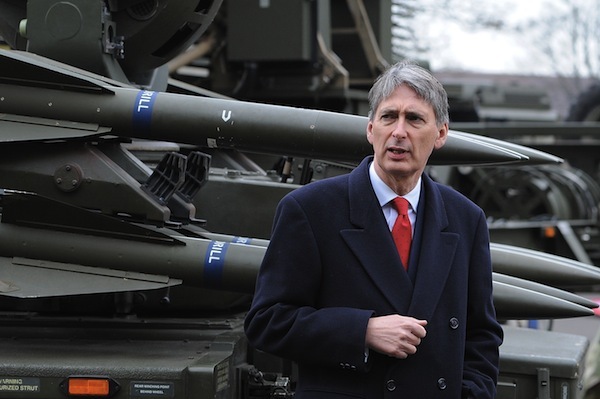 My impression is that emergency planning in the UK has become tangled up with an extremely secretive Cold War culture, that has left economic emergency planning unprepared for. And in the past, national control over various services has at least made centralized emergency planning feasible, not something you’d like to try with privatized health services. This issue has arisen again with Brexit. Government plans to stockpile food seemed so ad hoc. Where were the existing plans to keep a survival-oriented economy going? So, that’s one thing we should have at the heart of a new kind of economy: survival in face of any number of foreseeable scenarios, over short and long-term threats. After today’s budget it will be very interesting to see how wee Nicola will get public services back on track. Is she looking at the end for Indy? So it just remains “now is not the time”? Caught in indecision as the country’s services collapse around her. She won’t call a referendum but you already know that. 2021 will put an end to all this nonsense.